This off-shoulder navy blue georgette kurta has gold sequins and thread embroidery all over and a sheer panel on the neckline. 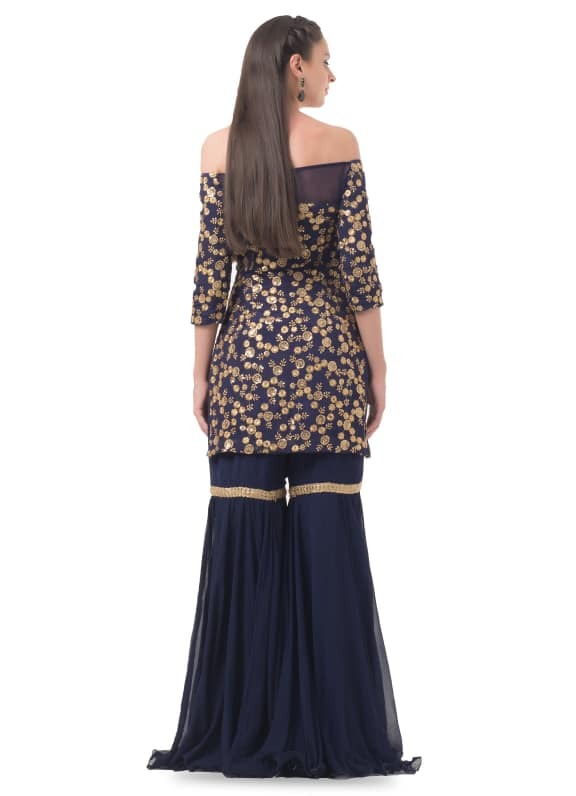 It comes with a chiffon gharara with cut-dana embroidery on the thigh. 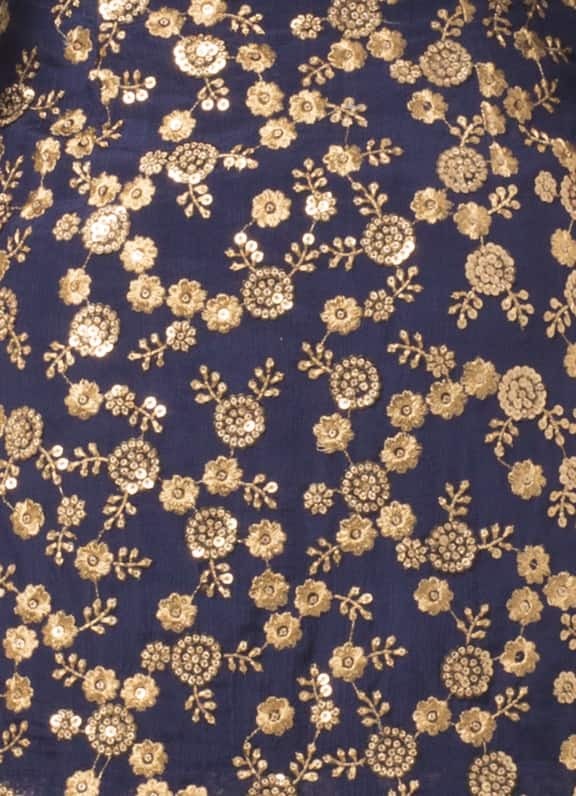 The net dupatta has cut-dana embroidery on the border. 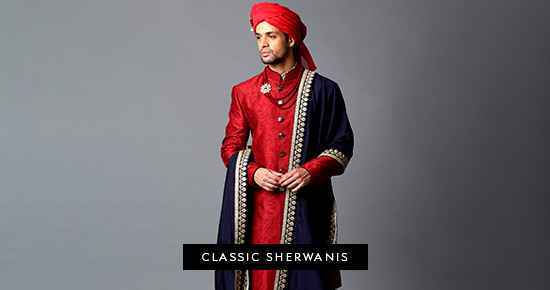 Fun, feminine and flowy, this navy blue gharara is perfect for a Diwali party or a wedding reception. Dress the look with a pair of crystal earrings by Maithali Kabre.